For the past eight months, Torontonians have been sharing their six word stories through the My City My Six participatory public art project. Led by Toronto Arts and Culture, the initiative aimed to reveal Toronto and its residents in celebration of Canada’s 150th. 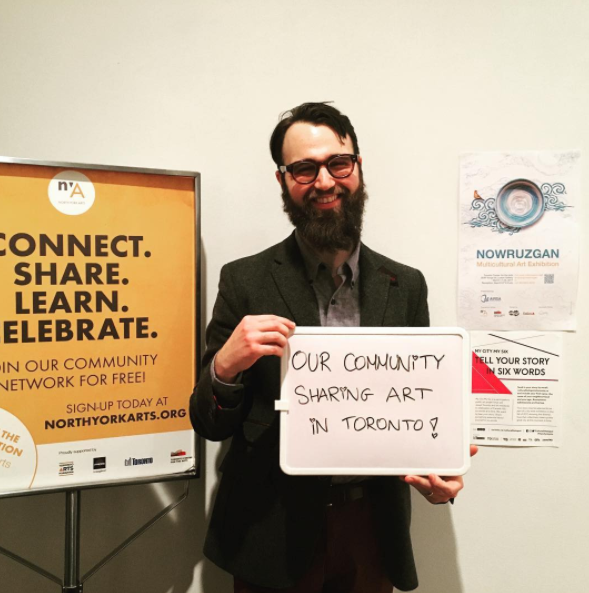 Now, as the initiative is coming to a close, North York Arts is thrilled to present the incredible stories from the North York community in an public art exhibition. Taking place at the Toronto Centre for Arts’ lower gallery this month, the My City My Six North York exhibition will be a culmination of stories from a range of residents. Not only have stories been submitted online, but they have also been gathered through workshops and events. One workshop in particular was a 4-week multimedia and spoken word program for youth at the Downsview Hub. Throughout the workshop, students had the opportunity to explore what the city means to them through various artistic platforms including a Drum Circle led by Adele Passmore a Pop up exhibition by Dreamation, and Spoken Word performances by Sociphoria. Another successful event was the collaborative photography exhibition “Finding Home,” which sought to explore the different ways through which the concept of home is formed. Professional photographer Maha Munaf lead and curated the exhibition, asking participants to share their six word stories. 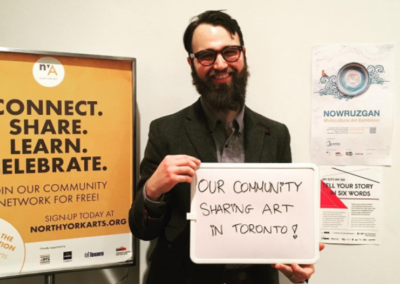 Beyond the North York exhibition, Torontonians can enjoy the initiative throughout the city. A jury, including Toronto’s Poet Laureate Anne Michaels, will select stories to appear in the city-wide exhibition taking place September 27 at City Hall. Other spaces will include transit shelters, transit interiors, billboards, and spaces provided by the city’s other Local Arts Service Organizations. The My City My Six has been a true celebration of individuals and community alike. We can’t wait to share the amazing people and stories from North York!